Greenway Plaza and Supacentre, a unique hybrid retail asset located in Western Sydney’s Wetherill Park, the largest industrial estate in the Southern Hemisphere, is being offered to the market for the first time in 11 years. The centre is expected to draw strong interest from investors due to its location and scale in a high population-growth area. The centre underwent a major expansion in 2010, transforming the existing Greenway Plaza into a retail/large format retail facility, incorporating 22,355 square metres of large format space alongside the 6,617 square metres of convenience retail. The asset is being marketed by Harry Bui and Lachlan MacGillivray of Colliers International. “Greenway Plaza and Supacenta is located in the desirable high growth corridor of Western Sydney,” Mr Bui said. “The current owners, a syndicate of private investors, have invested heavily in the asset over recent years to create a unique offering, incorporating both large format retail and convenience retail, with a captive and growing audience. research indicates population growth in the trade area is expected to be driven by a number of major residential developments and is estimated to grow to 332,980 persons by 2026 and reach $4.603 billion in total retail expenditure. “The large format and convenience retail of Greenway Plaza and Supacenta complements the nearby Stockland Wetherill Park,” Mr MacGillivray said. 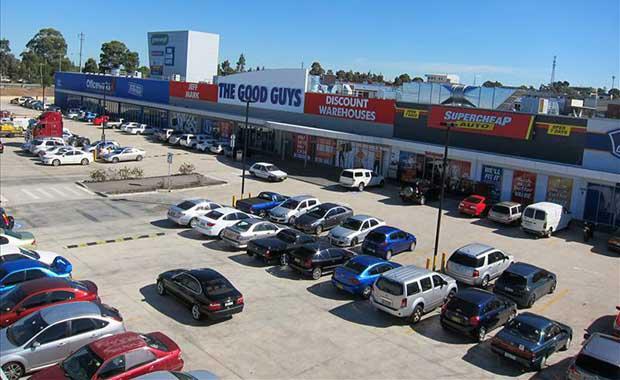 Located on 6.385 hectares, the asset features a strong tenancy mix anchored by major national retailers including Spotlight, Officeworks, the Good Guys, BCF, Super Cheap Auto, Petbarn and Red Rooster along with other tenants such Westpac. In total there are 28 retail specialty stores, five kiosks, and six offices. Parking for 691 cars is also located onsite. The asset also offers investors major depreciation benefits. With national vacancy in the large format retail sector dropping to record lows of 2.7 per cent in the first half of 2014, demand from investors for this growing asset class which provides strong returns, is certainly increasing.